Ohara is a northern suburb of Kyoto. This area has a placid atmosphere of good old Japan. 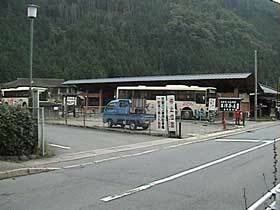 The bus stop of Ohara. 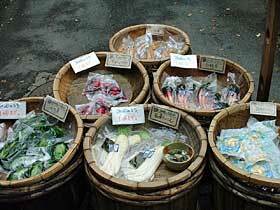 Pickles of local produce, displayed for sale on the roadside to Sanzen-in. 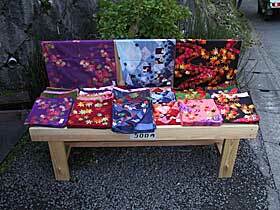 Handkerchiefs, displayed for sale on the roadside to Sanzen-in. 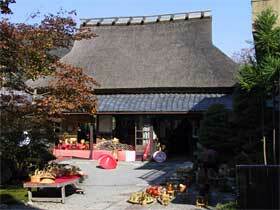 A restaurant and a souvenir shop on the roadside of the path to Sanzen-in. 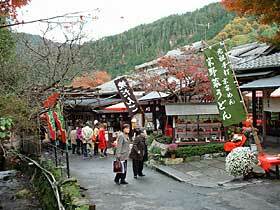 The restaurant is in the foreground, closer to Sanzen-in. 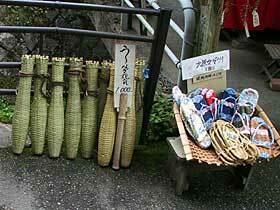 Bamboo work and local traditional slippers, displayed for sale on the roadside to Sanzen-in. 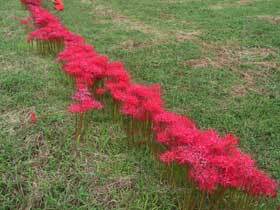 On the left are traps to catch eels that are made of bamboo and sold for use as flower vases. 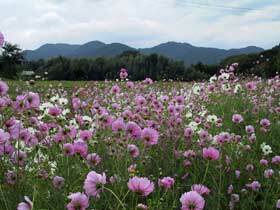 Field of cosmos after harvest of rice. Souvenir shop near Sanzen-in. 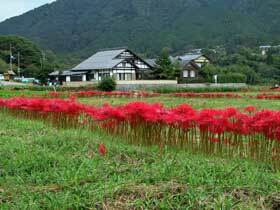 This is a traditional house in this area. 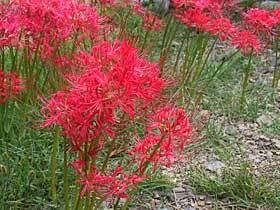 Cluster Amaryllis after harvest of rice.